One-A-Day Plus Multivitamins amp; Minerals with added Vitaflavan, CoQ10 and Green Tea is a high strength multinutrient tablet, providing broad spectrum nutrients in readily absorbable forms. It can be used as a simple maintenance supplement to cover any shortfalls in dietary intake, or alternatively it can be used as a foundation upon which other more specific nutrients can be added. This product contains additional antioxidants in the form of lutein, bilberry, beta-carotene, green tea, Co-enzyme Q10 and Vitaflavan (grapeseed extract), as well as 7mg of elemental iron. Vitaflavan is a standardised, premium, high-potency source of grapeseed extract which is an excellent source of antioxidant proanthocyanadins. 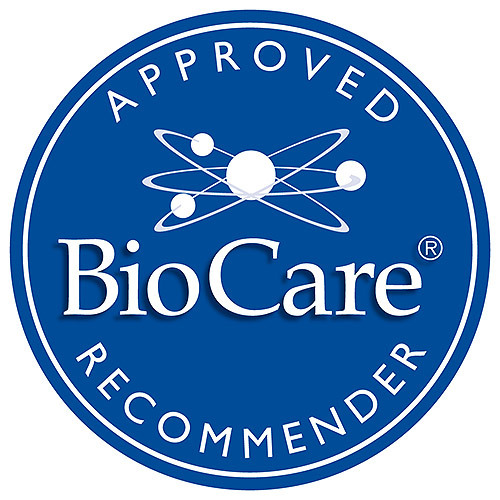 Bulking Agents (Dicalcium Phosphate & Microcrystalline Cellulose), Vitamin C (as Magnesium Ascorbate), Calcium Citrate, Niacin (as Niacinamide), Vitamin E (as D-Alpha Tocopherol Succinate), Modified Tapioca Starch, Pantothenic Acid (as Calcium Pantothenate), Choline Bitartrate, Magnesium Citrate, Zinc Citrate, Glazing Agents (hypromellose & Glycerin & Colours (Titanium Dioxide & Riboflavin), Anti-caking Agents (Silica & Vegetable Magnesium Stearate), Acacia Gum, Thiamine (as Thiamine Hydrochloride), Manganese Ascorbate, Vitamin B6 (as Pyridoxine Hydrochloride), Potato Maltodextrin, Olive Oil, Riboflavin, Inositol, Para Amino Benzoic Acid (PABA), Iron Fumarate, Bilberry Extract 4:1 (Vaccinium myrtillus), Sodium Carboxymethyl Cellulose, CoEnzyme Q10, grapeseed Extract (Vitaflavan), Green Tea 4:1 Extract (Camellia sinenses), Soy Protein*, Alginate, Sodium Borate, Lutein, Beta Carotene, Cellulose, Vitamin A (as Retinyl Palmitate), Sodium Molybdate, hypromellose, Chromium Picolinate, Antioxidants (Ascorbic Acid, Ascorbyl Palmitate & Natural Mixed Tocopherols)*, Sodium Selenite, Folic Acid, Biotin, Sunflower Oil, Potassium Iodide, Vitamin B12 (as Hydroxycobalamin), D-Alpha Tocopherol, Vitamin D (as Ergocalciferol). Take 1 tablet daily with food or as professionally directed. This product contains iron, which, if taken in excess, may be harmful to young children. Keep out of sight and reach. Long term intake of 4.45mg manganese may lead to muscle pain and fatigue. 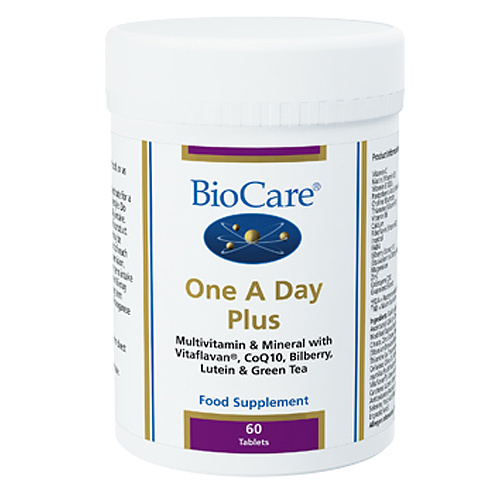 Below are reviews of One-A-Day Plus - 60 Tablets by bodykind customers. If you have tried this product we'd love to hear what you think so please leave a review. Excellent multivitamin. Very happy with the quality of the products of this brand. I will certainly purchase this again.